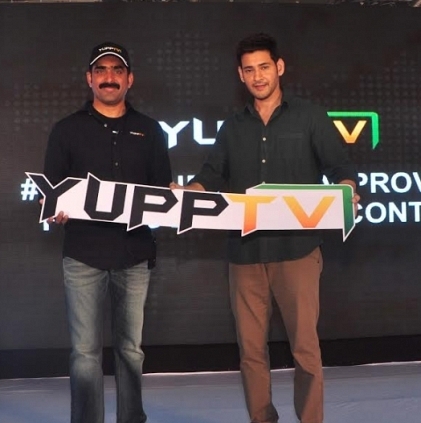 YuppTV, the world’s largest online streaming platform for South-Asian content, has announced Tollywood Superstar, Mahesh Babu, as their brand ambassador. Being a global leader in the OTT space, YuppTV provides South Asian content in more than 12 regional languages and this announcement stands as the first step to showcase YuppTV’s strengths in regional penetration. Mahesh Babu is one of the most popular celebrities with cinematic brilliance and has previously claimed the top-spot in Times Most Desirable Men survey, leaving behind top Bollywood celebrities. His vibrant personality and refreshing candor resonate with YuppTV, a futuristic brand using latest technology to make video content accessible to South Asians across the globe.